Working life in Finland - key characteristic of working life across a range of parameters. Based on the selected indicators, the quality of life in Finland is high. Finland ranks highest in happiness, reaching 8.2 on a 10-point scale in 2016 versus an EU average of 7.4. Respondents in Finland also report a very high level of participation in sports or other physical exercise; 79% do sports at least once a week, this being the highest rate among the Member States. However, self-reported health in Finland is relatively low compared to the other EU countries; in 2016, only 19% of respondents reported their health to be ‘very good, which is well below the EU average of 24%. People in Finland seem to be very optimistic about both their own future and their children’s or grandchildren’s future. In 2016, 81% of people in Finland were optimistic about their own future (close to the top-ranking country Sweden with 85%), and 86% of people felt optimistic about their children’s and grandchildren’s future, being the top ranking country in 2016. Improvements can be seen since 2011 in many of the quality of life indicators in Finland. The share of people doing sports at least once a week increased by 7 percentage points from 2011, reaching 79% in 2016. The share of respondents reporting ‘very good’ health improved by 3 points since 2011, rising to 19% in 2016, which is also slightly above the pre-crisis level of 18% in 2007. Another positive development is the decrease in the share of people reporting problems in making ends meet – the 7 percentage-point drop (from 25% in 2011 to 18% in 2016) sets the level in 2016 even below the 2003 value of 20%. Problems related to work–life balance have increased in almost all the years of observation in Finland. When looking at the breakdowns by gender, women have experienced the most pronounced increases in work–life balance problems. However, in comparison to the EU28 average, work–life balance problems are still less common in Finland. 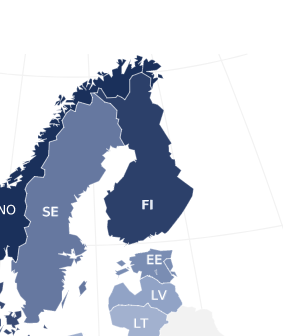 Finland performs well on average in the quality of society indicators, and ranks top among the EU28 with regard to trust in people, reach 7.4 on a scale of 1 to 10 in 2016. Also, 62% of the respondents feel safe when walking alone after dark, close to top-ranking Denmark with 63%. Most of the indicators on the quality of society have improved from 2011. The Social Exclusion Index and level of trust in people have improved alongside decreasing tensions between poor and rich people. Interestingly, perceived tensions between different racial and ethnic groups in Finland have been moving against the common current of the EU28, as a majority of western and northern European Member States experienced substantial increases in perceived tensions between 2011 and 2016. Even though a substantial share of people in Finland report a lot of tension between different racial and ethnic groups (35%), the share is still below the EU average (41%) and is similar to the 2011 value. All the quality rankings for public services in Finland are above the EU28 average. Especially well performing are the quality of the education system (8.3 on a scale of 1 to 10, highest among the EU28 countries), childcare services (7.9, close to the top-ranking Malta at 8.0) and health services (7.6, close to the top-ranking Austria at 8.0). The worst performing public services are long-term care services (6.7), public transport (6.9) and social housing (6.9). The state pension system ranks low on average in the EU28 (5.0), but in Finland it gets a rather positive rating, on average 7.0. All the public services rankings improved from 2011, but ratings for the education system and public transport have not yet bounced back to their pre-crisis levels of 2007. This profile describes the key characteristics of working life in Finland. It aims to complement other EurWORK research by providing the relevant background information on the structures, institutions and relevant regulations regarding working life. This includes indicators, data and regulatory systems on the following aspects: actors and institutions, collective and individual employment relations, health and well-being, pay, working time, skills and training, and equality and non-discrimination at work. The profiles are updated annually. 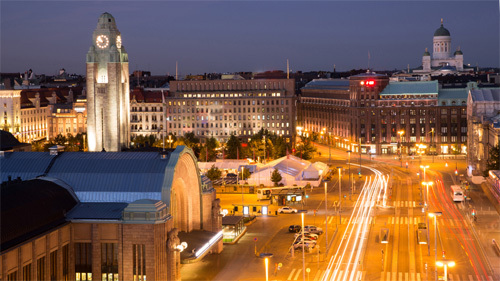 There were several favourable economic developments in Finland in 2018. GDP growth continued for the third year in a row, the highest average employment rate in three decades was measured in the third quarter of 2018, and the unemployment rate finally decreased to a pre-crisis level. There were 48,000 fewer unemployed and 86,000 more employed during the third quarter in 2018 compared with the same period during the Sipilä government’s first year in office. Meanwhile, Finland continued to lag behind the other Nordic countries in terms of both employment and unemployment rates. There were labour shortages in several sectors, with the lack of skilled workers viewed by many companies as an obstacle to growth. The Competitiveness Pact came into force in 2017 and included, among other things, wage freezes and a weakening of employees’ working conditions. This agreement hit many low-paid female-dominated sectors especially hard. Thus, after years of limited or zero pay rises, trade unions wanted the positive economic outlook to be reflected in higher wages during the collective bargaining round of 2017–2018. The bargaining round took place on a sectoral level, without being preceded by a central-level framework agreement. Employer organisations across different sectors stuck firmly to the benchmark and the negotiated pay rises were largely in line with the rate agreed by the export industry sector in autumn 2017. This implied that the so-called Finnish wage model – based on the Swedish wage model – had been put into practice. In the light of historically low birth rates and a rapidly ageing population, all political parties supported a reform of parental leave aimed at increasing gender equality and especially the labour market participation of mothers. As of February 2019, social partners on both sides had proposed their models and were calling for a speedy renewal of the system. The year also saw the already-strained relations between trade unions and the government culminate in political strikes against two controversial reforms introduced by the government: the Activation Model and the reform of dismissal protection. These conflicts triggered major discussions on the future of the Finnish industrial relations landscape and social dialogue structures, including the scope of political strikes. The autumn’s power conflict showed that trade union trust in the Sipilä government was at an exceptionally low level. Analysts suggested that the conflict was essentially about the future of the Finnish social dialogue structures and that questions regarding the role of tripartite social dialogue in the drafting of working life and employment legislation need to be answered. The future of the tripartite cooperation model and wage formation, as well as the changing nature of work due to digitalisation and automation, look set to be key topics for 2019. Between 2012 and 2017, Finland’s GDP increased by 1.7%, in contrast with the EU average increase of 7.4% for the same period. During this time, unemployment increased slightly in all categories. Looking at employment figures, the one for young people had the most significant increase between 2012 and 2017 (1.6 percentage points) and stood at 53.2% in 2017, well above the EU average (41.7%) for that year. The working conditions of employees are determined on the basis of legislation and collective agreements. The most important legislation regarding employment relationships in Finland includes the Employment Contracts Act, the Working Hours Act and the Annual Holidays Act. Several acts safeguard non-discrimination and diversity at work. These laws apply to all employees working for Finnish employers, regardless of their nationality. The most important laws governing labour market organisations and collective bargaining include the Collective Agreements Act, which sets the framework for the agreement system as well as the Act on Mediation in Labour Disputes and the Act on the Labour Court designed for settling of disputes in relation to the collective agreements. Labour market legislature is drafted in a tripartite manner, including trade unions and employers’ organisations in the process. Finnish industrial relations are highly centralised: the trade union density was 73.9% in 2016 (according to the national survey-based Working Life Barometer) and the various trade unions and employers’ organisations cooperate closely in peak-level organisations. The collective bargaining coverage is approximately 89% (Ahtiainen, 2016). The Finnish system of collective bargaining started in 1940 as the labour market organisations recognised each other as negotiating partners while the process of tripartite cooperation started fully in 1968. In addition to employment issues, the Finnish labour market organisations are also key actors in developing other policy areas, such as the pension scheme. With a tradition of consensus, the government consults the social partners in detail over any proposed amendments to the laws that affect working life. Finland has traditionally had a three-tier system, with collective bargaining normally taking place at national, sectoral and local level. This practice, however, is currently in a state of change: following a change in its internal rules in 2015–2016, the peak-level Confederation of Finnish Industries (EK), the principal employers’ organisation, opted out of participating in central level collective bargaining in the future. Thus, the 2016 Competitiveness Pact, a major tripartite labour market agreement entailing a wage freeze for 2017 and a 24-hour extension of annual working time, among other things, may have been the last of the big centralised agreements. The collective bargaining round of 2017 was negotiated directly at the sectoral level, without being preceded by a centralised agreement. In addition to the formally negotiated collective agreements, the social partners engage in mutual working life discussions during the agreement period through the so-called ‘continuous negotiation system’. This practice has grown increasingly common during the last decade. Trade unions, employers’ organisations and public institutions play a key role in the governance of the employment relationship, working conditions and industrial relations structures. They are interlocking parts in a multilevel system of governance that includes the European, national, sectoral, regional (provincial or local) and company levels. This section looks into the main actors and institutions and their role in Finland. The Ministry of Economic Affairs and Employment is responsible for securing the functioning of the labour market through creating a favourable environment for industrial activities and employment. It drafts and monitors labour legislation. The Ministry of Social Affairs and Health is responsible for the legislation on occupational safety and health as well as equality issues. The Regional State Administrative Agencies' divisions of occupational safety and health are responsible for regional supervision of occupational safety. The National Conciliator’s Office assists the social partners in disputes concerning collective agreements, facilitating mutual agreements, while the Labour Court deals with cases between employers’ and employees’ organisations related to alleged violations of collective agreements and can order compensatory fines. Legal cases concerning employment legislature which are not related to the collective bargaining agreements are settled by general courts. The Co-Operation Ombudsman monitors compliance with laws related to personnel representation, such as the Act on Cooperation within Undertakings. A collective agreement within the meaning of this Act is any agreement concluded by one or more employers or registered associations of employers and one or more registered associations of employees, concerning the conditions to be complied with in contracts of employment or in employment generally. For the purposes of this Act, ‘association of employers’ means any association whose specific objectives include that of safeguarding the employers’ interest in the matter of employment; and ‘association of employees’ means any association whose specific objectives include that of safeguarding the employees’ interests in the matter of employment. The strong role of the peak-level social partners is based on the tripartite consensus tradition, which gives the employers’ and employees’ central organisations a central position not only in the drafting of national-level collective agreements on wages and working conditions, but also in the drafting of employment legislature and economic policy. The power of the social partners in designing the pension reforms in 2014 provide an example of the importance of tripartite cooperation in Finland. These lawmaking activities will presumably not be affected by the seemingly changing role of the peak-level employers’ organisation (see the section ‘Industrial relations context’ above). According to the Employment Contracts Act, all workers, regardless of the sector they are employed in, have the right to join trade unions. The membership in trade unions in Finland is high, the trade union density having remained around 70% during the last 10 years. Explanatory factors for the popularity of trade unions include their involvement in pensions and unemployment schemes which make them a provider of individual security, even though other institutions providing similar services exist. The Finnish history of trade union prominence in working life and politics may also be a reason for the normalisation of membership in trade unions. Trade union density in terms of active employees 67.3% 67.3% 66.3% 66.7% n.a 64.6% OECD and J. Visser, ICTWSS database. Trade union density in terms of active employees 68% 75% 75% 73% 76% 74% Ministry of Employment and the Economy (2016). Working Life Barometer. OECD and J. Visser, ICTWSS database. The three peak-level trade union confederations are: the Central Organisation of Finnish Trade Unions SAK; the Finnish Confederation of Professionals STTK and the Confederation of Unions for Professional and Managerial Staff in Finland (Akava). SAK represents mostly blue-collar occupations, while STTK represents officials and clerks (mostly white-collar workers) and Akava is the trade union confederation for those with university, professional or other high-level education. *Following the Confederation of Finnish Industries’ change of rules, centralised agreements should no longer occur, and in 2017 no centralised agreement was signed. However, traditionally the central organisations are deeply involved in collective bargaining, and did also in 2017 support and coordinate their member unions in the sectoral negotiations. In 2014, the two biggest peak-level trade unions, SAK (the Central Organisation of Finnish Trade Unions) and STTK (the Finnish Confederation of Professionals), started a process towards a merger that was planned to take place in 2016. The aim of this merger was to increase the centralisation and potential bargaining power of the employees’ organisations. However, the project was abandoned in June 2016 after several STTK member unions and some SAK member unions decided to withdraw from it. STTK has in recent years lost member unions to Akava. In 2016, the Finnish Police Federation, with around 11,000 members, switched from STTK to Akava, and in 2017 another three public sector unions with a total member count of 5,700 did the same. This development, and Akava’s active contribution to it, has strained relations between Akava and STTK. All employers have the right of association and the membership in employers’ associations is voluntary in the private sector. The employers’ organisation density has been very stable during the 2000s, and was around 65% in 2013. There is a marked trend of organisations merging, and this is expected to continue. The comparably high density is likely related to the power that labour organisations have in the collective agreements. The report of the Ministry of Economic Affairs and Employment, ‘Coverage of collective agreements in 2014’ (Ahtiainen, 2016), is a relevant national source. The report provides a different calculation of employers’ organisational density, ranging from 73% (2008) and 75% (2014) to 62.6% (2008) and 66.2% (2014). The latter figures are comparable to those reported by the ECS in the above table. The Confederation of Finnish Industries (EK) is the leading business organisation and represents the entire private sector and companies of all sizes. EK has in recent years lost two notable member organisations: the Finnish Forest Industries Federation (Metsäteollisuus) left in 2016, claiming to need better targeted interest promotion, and the Employers’ Federation of Road Transport (ALT) exited in 2017, due to the fact that EK no longer participated in collective bargaining. ALT has approximately 700 member companies with 24,000 employees, and Metsäteollisuus has 70 member companies with 42,000 employees. Local government employers (KT) is an interest organisation for local government employers representing all Finnish local and joint authorities. It negotiates and concludes collective agreements for municipalities and federations of municipalities employing 422,000 people. The State Employer’s Office (VTML) negotiates and concludes collective agreements for the 74,000 employees working for the state. The Church Employers (KiT) represents the Lutheran Church of Finland as an employer and negotiated a collective agreement for about 20,000 employees working for the parishes in 2014. The Federation of Finnish Enterprises (SY) has the largest membership of all business-related federations in Finland. The membership consists of more than 115,000 enterprises of all sizes (although half of the members are solo-entrepreneurs), from all over the country, and encompasses the entire business spectrum. SY was founded in 1996. It is not a negotiating party in collective bargaining. 105,000 member companies, employing 650,000 people. * Following EK’s change of rules, centralised agreements should no longer occur, and in 2017 no centralised agreement was signed. However, traditionally the central organisations are deeply involved in collective bargaining, and did also in 2017 support and coordinate their member unions in the sectoral negotiations. Due to a strong tradition of tripartite cooperation there are various bipartite and especially tripartite working groups in Finland. While some are of a more permanent nature, others are established ad hoc, by the government or based on the national level agreements, to investigate a certain issue. The most important ones are the national level tripartite bodies listed below, although smaller discussion groups and regional tripartite forums also exist. The national working groups are highly influential as they participate in policy-making in various areas in co-operation with the government or other public actors. These include issues connected to collective bargaining, such as wage and cost developments, in which the government aims for contracts that suit the overall situation of the economy. Other important issues include competitiveness and employment, as well as unemployment and pension schemes. For permanent bodies, there are often fixed consultation mechanisms, while ad hoc groups’ processes vary on a case-by-case basis. In addition to political negotiations, the tripartite and bipartite bodies are discussion forums for developing Finnish working life and enhancing international competitiveness. Cost and income developments and how they relate to collective agreements. Facilitating co-operation between the Government, the Bank of Finland and major interest groups. Economic and social issues of key importance to Finland’s prosperity. Sector groups and Occupational Safety Committees plan training courses and carry out campaigns related to occupational safety. The nine sectoral committees monitor, evaluate and anticipate the development of education and training and working life skills needs and make proposals on related initiatives. Finland has a high rate of workplace-based employee representation, with the incidence of different sorts of employee representation at about 60% of establishments (ECS). Employee representation is essentially characterised by single-channel representation based on shop stewards (luottamusmies), who are affiliated with trade unions and whose position is regulated by sectoral collective agreement. Shop stewards are generally affiliated with the Central Organisation of Finnish Trade Unions SAK and the Finnish Confederation of Professionals STTK. The Confederation of Unions for Professional and Managerial Staff in Finland (Akava) often has a lighter employees’ representation structure at the workplace level, such as contact persons (yhdyshenkilö, yhteyshenkilö). Shop stewards are the leading partners for information and consultation procedures, as well as for collective bargaining at establishment level. Collective agreements provide for shop stewards to be present at workplaces in all branches of the economy. The election of the shop steward and the terms of office are regulated by internal statutes of the unions. At workplaces where there is no trade union shop steward, or for a specific personnel group that has no trade union shop steward, a shop steward without a trade union affiliation (luottamusvaltuutettu) may be elected instead. The position of such shop stewards is regulated by law and their tasks are similar to trade union affiliated shop stewards. Where neither type of shop steward has been elected, the employees may elect a cooperation representative (yhteistoimintaedustaja) to represent them in negotiations and activities with the employer regarding work, working conditions and the position of the employees at the workplace. In employer-employee cooperation negotiations and activities that involve more than one personnel group, the employer and the employees may agree to establish a works council (yhteistoimintaneuvottelukunta) with representatives of all parties to facilitate the negotiations. The positions of cooperation representatives and works councils is laid down in legislation. The Act on Co-operation in Undertakings defines subjects for information and consultation of employee representatives, including issues such as the economic situation of the company and the outlook for production and employment, statistics on pay for different categories of employees, and consultation on changes in the organisation of work and cases of restructuring. An employee occupational safety and health representative (työsuojeluvaltuutettu) monitors matters of occupational safety and health at workplaces with 10 or more employees. At workplaces with 20 or more employees, there must also be an occupational safety and health committee (työsuojelutoimikunta), where both employer and employee representatives, including the elected occupational safety and health representative, are involved. In private companies with 150 employees or more, employees have the right to be represented in the company’s relevant governing bodies (henkilöstön edustaja). Trade union delegations (ammattiosasto) are municipality or workplace level branches of trade unions affiliated with SAK and STTK, providing information, support, training and recreational activities for their members. Akava’s counterpart of trade union delegations, at big workplaces, is company unions (yritysyhdistys). Representative mandatory in establishments with 10 or more employees. Committee mandatory in establishments with 20 or more employees. In the figure, we see a comparison between Finland and European Union for the people with 'Establishment size : All' when asked 'Official structure of employee representation present at establishment'. For the 'Yes' answer, Finland's score is higher than the European Union score. For the 'No' answer, Finland's score is lower than the European Union score. The National comparisons visualisation presents a comparative overview for the values of all answers between two selected countries. The central concern of employment relations is the collective governance of work and employment. This section looks into collective bargaining in Finland. Collective bargaining in Finland has usually taken place at three levels; national, industry and company. As part of a tripartite tradition, the peak-level social partners in dialogue with the government negotiate national framework agreements on wages and employment conditions. The national central level agreement is then the basis for bargaining followed at sectoral level – the predominant level in the sense that sectoral agreements are the legally enforceable basis of employment contracts. Sectoral agreements may transfer some issues to be negotiated locally, in company-level agreements. In recent years there has been a tendency towards more local bargaining, although the decentralisation is taking place within the limits predefined by national and sectoral bargaining. (Asplund, 2007; Sippola, 2012). As the main peak-level employer organisation, the Confederation of Finnish Industries (EK), withdrew from central level bargaining in 2016, decentralisation will probably increase in the future. The collective bargaining round of 2017 was thus carried out directly at sectoral level, without a preceding central-level agreement. The Finnish collective bargaining system is characterised by a principle of general applicability, which has been in force since the 1970s. According to this principle, employers that are not involved in collective bargaining or are not signatories to a collective agreement must comply with the nation-wide sectoral level collective agreement considered representative in their sector. In 2001, the so-called confirmation procedure for universally binding collective agreements came into force. A special commission under the Ministry of Social Affairs and Health confirms the general applicability of the agreements. A sector-level agreement is generally applicable if it can be considered representative of the field in question. The employer side has in recent years been promoting the dilution of general applicability. Due to general applicability, the level of collective wage bargaining coverage is substantially high, the coverage rate of all levels being around 98% according to the European Company Survey. As the Finnish collective bargaining system is traditionally strongly centralised, the national level has been the most important in setting the framework for changes in wages and working time. However, the withdrawal of the main peak-level employer organisation from central level bargaining in 2016 will presumably have an effect on bargaining levels. Details concerning wages and working time are worked out in lower level agreements. Sectoral agreements constitute the legally enforceable basis of employment contracts (Asplund, 2007). Traditionally, the national level agreement, after having been approved by a sufficient number of sectoral organisations, sets the minimum conditions for pay changes and working time. These guidelines must then be followed in the sectoral agreements. Company level contracts in their turn must be designed according to the sectoral level agreements, so that their demands are fulfilled. As of 2017, no national level agreement is negotiated, and bargaining has been initiated directly at sectoral level. The autumn is the busiest time for bargaining for new collective agreements in Finland. This is because the turn of the year (at the end or beginning of the year) is a typical time for the start of new collective agreements. Traditionally, the bargaining round starts with the collective agreement for the technology sector (including metalworking) which to some extent serves as a pace-setting agreement for other sectors. The collective agreements negotiated within the framework of the tripartite Competitiveness Pact in 2016 were set for only one year, instead of the previously more usual two or three years. In the negotiations of 2017–2018, two or three years seems once again to be the standard. When it comes to the trade unions, the collective bargaining system is coordinated both across different bargaining levels and horizontally: the actors within the same sector communicate between the company-level, sectoral and central organisations to promote their industry-related interests. Horizontal coordination is also significant: the cooperation between different sectors is strong in the highly centralised national-level organisations. However, in the collective bargaining round of 2017-2018, cross-sectoral coordination has been more challenging, since no central-level agreement was negotiated prior to the sectoral negotiations. Although the employers are represented by different interest organisations, their collective bargaining action has hitherto been substantially coordinated by the Confederation of Finnish Industries (EK). However, this coordination function is likely to change or expire along with EK stepping away from central-level bargaining as of 2016. As the employers mostly act in a united manner regardless of sector, their bargaining is horizontally coordinated. According to the principle of general applicability, which has been in force since the 1970s, sectoral level collective agreements are generally binding and thus apply also to unorganised employers and employees in the sector. In 2001, the so-called confirmation procedure for universally binding collective agreements came into force. A special commission under the Ministry of Social Affairs and Health confirms the general applicability of the agreements. A sector-level agreement is generally applicable if it can be considered representative of the field in question. Representativeness in this regard entails that an estimated more than half of the employees in the sector work for employers who are signatories of the agreement. Overall derogation from collective agreements is not possible. However, it is not uncommon for sectoral level agreements to include opening clauses for agreeing on certain matters such as working time arrangements or wages at local level, usually within given limits. When collective agreements expire without new agreements being in place, the regulations of the old contract are observed until a new agreement is negotiated. According to the Employment Contracts Act, strikes are legal solely in this situation when the agreement period has elapsed. According to the Employment Contracts Act and the Act on Mediation in Labour Disputes, industrial action is only allowed when a collective agreement has expired and a new agreement is yet to be established, or when the reason for the action is something unrelated to the employment conditions, as is the case for political strikes and solidarity actions. The peace clause in a collective agreement may also be unconditional, in which case also solidarity actions are prohibited. Peace clauses apply to trade unions, employers’ organisations and members of employers’ organisations. Peace clauses do not formally apply to individual employees or trade union members, but non-compliance of individual trade union members may have repercussions for the union. An active and a passive peace obligation can be distinguished. The passive peace obligation prohibits trade unions and employers’ organisations from taking up industrial action, while the active peace obligation compels the organisations to monitor the peace and to take measures to prevent and halt illegal industrial action. Peace clauses do not apply in cases where the employer is bound by the collective agreement through general applicability of the agreement, without being a member of a signatory employers’ organisation. As of December 2017, it is yet unclear to what extent and in which way such issues will be negotiated in the future, as the Confederation of Finnish Industries (EK) has withdrawn from central-level bargaining. The Finnish constitution guarantees the right to strike, but under the legislation in the Employment Contracts Act and the Act on Mediation in Labour Disputes, strikes are only allowed when an employment contract has expired and a new contract is yet to be established or when the reason for the strike is something unrelated to the employment conditions, as is the case for political strikes and solidarity actions. The right to strike is also restricted in some sectors, such as health care, whose functioning is vital to the safety of the society. A strike must also be announced to the national conciliator in advance to be legal. The legal types of industrial actions therefore include the strikes taking place during a period when no agreement is in force and strikes for political and sympathy reasons. Among the most common forms of industrial action are strikes (lakko) or refusing to work either wholly or partly, walkouts (ulosmarssi) and overtime bans (ylityökielto). Source: Official Statistics of Finland (OSF): Statistics on labour disputes [e-publication]. Helsinki: Statistics Finland. Note: The numbers provided include all types of industrial action, including not only strikes (the most common form of industrial action), but also threats, embargos, etc. The mediation system is based on Finland’s Act on Mediation in Labour Disputes. The National Conciliator and the Conciliators assist the negotiating partners if a collective agreement cannot be reached without outside help. The central labour market organisations can also be assisted by the National Conciliator when drawing up comprehensive incomes policy agreements. It is compulsory to participate in the mediation of labour disputes, but the different sides do not have to accept the Conciliator’s proposal. The Labour Court handles cases related to violations of the collective agreements and can issue fines in cases of illegal industrial action. termination of employment contracts. In individual employment law cases before the civil courts, there is no direct involvement of trade unions and such cases cannot be brought by unions without the worker’s consent. The district courts and courts of appeal can impose fines in employment-related cases. Source: National Conciliator’s Office (2017) . Individual employment relations are the relationship between the individual worker and their employer. This relationship is shaped by legal regulation and by the outcomes of social partner negotiations over the terms and conditions governing the employment relationship. This section looks into the start and termination of the employment relationship and entitlements and obligations in Finland. The minimum working age in Finland is 15, although 14-year-olds can be employed with special provisions that take into account their education. The employment of minors also includes other restrictions on matters such as dangerous work. Non-EU citizens normally need a work-based residence permit to start working in Finland. Exceptions to this would be work of short duration within certain occupations, asylum seekers, etc. An employment contract must be issued whenever a paid employment relationship begins. Such a contract can be either oral or written. The provisions regarding employment are laid down in the Employment Contracts Act. Fixed-term contracts are ended without notice at the end of the pre-specified employment period. Indefinitely valid employment relationships end either by mutual agreement between the employer and the employee or by a unilateral act of termination (giving notice). If the employer terminates the contract, this must be based on weighty grounds, meaning serious transgressions on the employee’s side or a change in circumstances that makes the employee unable to cope with his or her duties. Financial or production-related reasons are also acceptable. The employee does not need a specific reason to terminate the contract. Both sides must respect the notice period at the termination of the contract, the length of which is related to the length of the employment period. Employees whose contract has been terminated due to financial reasons are also entitled to a period of paid re-employment leave. The views of both parties must be heard in the process of terminating the employment contract and the employer must explain the possible financial reasons for the termination. See also further information on unemployment benefit provisions in Finland. The parental, maternity and paternity leave policies in Finland are generous, although the duration of the leave is not among the longest in Europe. Although most fathers use at least part of the paternal leave days they are entitled to, women still avail of the vast majority of the non-earmarked parental leave. The uptake of paternity leave increased up to 2012–2013, when paternity leave was reformed. No clear trend is distinguishable as of yet for the post-2013 period. 105 working days divided into prenatal leave of 30–50 working days and post-natal leave of 55–75 working days according to the mother’s decision. Minimum €23.73 per working day as of 2017, maximum 90% of labour income for the first 56 days, after that maximum 70%. The Social Insurance Institution of Finland (Kela) or the employer, in which case Kela pays the reimbursement to the employer. 158 working days after the maternal leave has ended, to be taken by either the mother or father or divided between them. Minimum €23.73 per working day as of 2017, maximum 70% of labour income. 54 working days of which 18 working days can be used at the same time as the maternity leave. The Employment Contracts Act provides the legislation related to sick leave. The sick leave allowance is paid by the Social Insurance Institution of Finland (Kela). The re-imbursement rate depends on the income level so that the minimum amount paid is €23.73 per working day and the maximum 70% of salary, as of 2017. The maximum duration of sick allowance is 300 working days, after which disability pension is considered if necessary. Rehabilitation programmes are also offered in cases of long-term illness. The employer has the right to terminate the employment contract only if the condition of the worker makes him or her permanently disabled for the work and no other suitable work can be offered. According to the National Pensions Act, the general retirement age is 65 years and early retirement can be granted from the age of 63. In the case of early retirement, the amount of pension will be reduced. Recipients of extended unemployment allowance can apply for old-age pension at the age of 62. According to the pension reform agreed upon by the central labour market organisations in 2014 and entering into force in 2017, the earliest eligibility age for old-age pension will be raised gradually to 65 years by 2025. After 2025, the retirement age will be tied to life expectancy. Pay: For workers, the reward for work and main source of income; for employers, a cost of production and focus of bargaining and legislation. This section looks into minimum wage setting in Finland and guides the reader to further material on collective wage bargaining. Wage setting in Finland has traditionally been agreed through the three-tier system, where the central-level organisations have agreed on the general framework for raises, along with general provisions regarding working hours, conditions and relevant social policy measures. The centralised agreement has been followed by sectoral collective bargaining within the set centralised framework, and finally by workplace-level negotiations within the centralised and sectoral frameworks. However, this bargaining structure is currently changing as the Confederation of Finnish Industries (EK) will no longer participate in centralised bargaining, as a consequence of a change in the organisation’s internal rules in 2015-2016. Pay development in Finland has been very moderate in the past five years. Collectively bargained pay solutions were low during the first half of 2010s, and the tripartite Competitiveness Pact of 2016 froze 2017 wages completely in most sectors. The increase in real earnings has been small due to inflation, while the unemployment rate was high for many years. In the bargaining round of 2017-2018, the average raise appears to settle at approximately 3% in the next two years. Source: Official Statistics of Finland (2017): Index of wage and salary earnings [e-publication]. Finland does not have a statutory minimum wage but de facto minimum wages are determined separately for each sector in generally applicable collective agreements. The principle of general applicability of collective agreements ensures that also employers that are unorganised in terms of collective bargaining must comply with the nation-wide agreements that concern their field of economic activity. Working time: ‘Any period during which the worker is working, at the employer’s disposal and carrying out his activities or duties, in accordance with national laws and/or practice’ (Directive 2003/88/EC). This section briefly summarises regulation and issues regarding working time, overtime, part-time work as well as working time flexibility in Finland. Working time is primarily regulated by the The Working Hours Act and the Annual Holidays Act. The Young Workers' Act includes special provisions on working times of underage workers. Following the legislature and the guidelines set in national framework agreements, more detailed frameworks for working times in each sector are determined in collective agreements through sectoral bargaining between the social partners. The specifics of the working times in individual employment contracts are then negotiated at company level according to the regulations of the collective agreements. The Working Hours Act regulates overtime working and how it should be compensated, defining overtime as ‘work carried out on the employer's initiative in addition to the regular working hours’ (The Working Hours Act, 2011). The maximum amount of overtime allowed is 138 hours per four months, with the provision that it should not exceed 250 hours per year. The social partners are allowed to make exception to these regulations in collective agreements, provided that these exceptional periods do not exceed 12 months and that the annual limit on overtime is observed. According to the act, the two first overtime hours of a working day must be compensated with the regular wage plus 50% and the additional hours with regular wage plus 100%. Sector specific provisions can be negotiated provided that they fulfil the conditions set by the law and these must be followed in the company level. Part-time work is defined as work in which the employee’s working time is less than the sectorally-determined regular working hours of a worker in a regular employment contract. Part-time work is regulated by the Working Hours Act and the Employment Contracts Act. Looking at the statistics in the Labour Force Survey by Eurostat, the prevalence of part-time work in Finland in 2016, at 13.4%, has been lower than the levels for the EU average in the same year, 18.9. A large proportion of part-time employees are students and older workers. Part-time work is relatively uncommon in Finland, as full-time employment has traditionally been the standard in the country. Women’s full-time work in particular has been more widespread than in many other countries in Europe, due to policies such as free school lunches and subsidised daycare for children. However, the uneven distribution of care responsibilities are nevertheless the main reason for women working part time more often than men. In addition, part-time work has been more common in female-dominated sectors such as retail trade. Involuntary part-time work has increased significantly in Finland in the past five years. The increase seems to have concerned above all the service sector and is influenced by developments such as the gradual dismantling of regulations on opening hours in the retail and beauty sectors. Restrictions on opening hours were eliminated altogether in January 2016. The Working Hours Act defines night work as ‘work carried out between 23.00 and 06.00’. A night shift is a work shift whereby at least three hours take place between these hours. Shift work has not been defined in legislation. It is nevertheless regulated in the Working Hours Act: shifts in shift work ‘must change regularly and at intervals agreed upon in advance. Change is considered regular when a shift does not coincide for more than an hour with the immediately following shift or the shifts are no more than an hour apart’. Special permits to diverge from these directives may be granted by the Office of the Regional State Administrative Agency. There is no legal definition of weekend work. According to the Working Hours Act, employees must normally have at least 35 hours of uninterrupted free time per week, and these hours should preferably be arranged around a Sunday. Work on Sundays or on church holidays can only occur when the work concerned ‘is regularly carried out on the said days due to its nature, or when agreed upon in the employment contract, or with the separate consent of the employees’. Sunday wages are twice the regular wage. There are no special provisions for Saturday work. There is no explicit legal definition for rest periods, but it can be derived from the definition of ‘working hours’ in the Working Hours Act. Accordingly, rest periods can be defined as time not spent on work and when the employee is not required to be present at the workplace at the employer’s disposal. Rest periods include travel time, unless the travel time constitutes work performance. Stand-by time during which the employee has agreed to stay at home or to be otherwise available for being called to work also qualifies as rest, but it must not ‘excessively disrupt’ the employee’s free time and must be reasonably reimbursed. There are also more detailed provisions concerning the length and frequency of breaks and rest periods. Working time flexibility is primarily regulated by the Working Hours Act which has to be followed when specifying sectoral conditions in collective agreements. The sectoral agreements must then be taken into consideration in company-level contracts in addition to national legislation. According to the act, the flexible working times have to be specified by mutual agreement in the employment contract so that the daily regular working hours can only be extended or reduced by a maximum period of three hours and so that the maximum amount of working hours remains at 40 hours per week. According to EWCS statistics, less than half of the Finnish employed work the same number of hours every day. This is clearly below the EU28 average, although the proportion of those working the same number of days per week is above the EU28 average. The opportunity to bank whole days is more than twice as common in Finland (women 15.4%, men 16.6%) as the EU average. The opportunity to bank hours is also slightly more common in Finland (women 7.6%, men 6.6%) than in the EU on average. The table below is in line with these findings, as it shows that over 56% of Finnish workers have the possibility of adapting their working hours. In the figure, we see a comparison between Finland and European Union for the workers with 'Age : All' when asked 'Do you have fixed starting and finishing times in your work?'. For the 'No' answer, Finland's score is higher than the European Union score. For the 'Yes' answer, Finland's score is lower than the European Union score. Data is based on question 39d from the sixth "European Working Conditions Survey (2015). The National comparisons visualisation presents a comparative overview for the values of all answers between two selected countries. Maintaining health and well-being should be a high priority for workers and employers alike. Health is an asset closely associated with a person’s quality of life and longevity, as well as their ability to work. A healthy economy depends on a healthy workforce: organisations can experience loss of productivity through the ill-health of their workers. This section looks into psychosocial risks and health and safety in Finland. The Occupational Safety and Health Act and the Occupational Health Care Act require the employer to protect the employees’ safety and health and provide the health care and expert services needed for this. Compliance with the law is overseen by the Department for Occupational Safety and Health of the Ministry of Social Affairs and Health and the district administration for occupational safety and health. According to data by Eurostat, the number of accidents at work has decreased significantly in the past years, from over 40,000 in 2011 to around 33,000 in 2014. National data on accidents at work differ somewhat from Eurostat data, showing slightly more elevated figures. National data also indicate that accidents at work affect men more commonly than women, which is explained by the fact that men work on average in more risky sectors than women, such as the building and construction sector. The main regulations concerning psychosocial risks at work is covered by the Occupational Safety and Health Act, which is related to occupational risks to both physical and mental health. The vulnerability of young workers is taken into consideration in the additional regulations provided by the Young Workers’ Act. The Non-Discrimination Act prohibits discrimination related to all aspects of working life and the Working Hours Act protects workers against excessive amounts of work. The Act on Occupational Safety and Health Enforcement and Cooperation on Occupational Safety and Health at Workplaces regulates the conduct of the occupational safety and health authorities. The statistics below show that around 71% of Finnish workers work in conditions of tight deadlines at least a quarter of their working time, which may cause stress-related problems. This is higher than the European average, which was 63.6% in 2010. Around half of the workers are also regularly subjected to long working hours, the second highest share in the EU. 9.2% of respondents (12.6% among women) reported having experienced discrimination at work during the 12 last months in 2010, which also exceeds the EU average. In the figure, we see a comparison between Finland and European Union for the workers with 'Age : All' when asked 'Do you have enough time to get the job done?'. For the 'Always or most of the time' answer, Finland's score is higher than the European Union score. For the 'Rarely or never' answer, Finland's score is lower than the European Union score. For the 'Sometimes' answer, Finland's score is lower than the European Union score. Data is based on question 61g from the sixth European Working Conditions Survey (2015). The National comparisons visualisation presents a comparative overview for the values of all answers between two selected countries. Skills are the passport to employment; the better skilled an individual, the more employable they are. Good skills also tend to secure better-quality jobs and better earnings. This section briefly summarises the Finnish system for ensuring skills and employability and looks into the extent of training. Skills identification, development, validation and recognition are conducted by both public institutions and labour market organisations. At the national level, the tripartite National Education and Training Committees monitor and anticipate skills needs in different sectors and contribute to the design of education and training in upper secondary vocational education and training (VET) and in higher education. The committees consist of representatives of relevant sectoral trade unions and employers’ organisations, of teachers and educational institutions, and of the Finnish National Agency for Education. Equally, the social partners have representatives in VET degree committees, through which adult learners can get their professional skills formally validated. In recent years, the social partners have furthermore been deeply involved in preparations for the comprehensive VET reform, which is enforced in January 2018. The Public employment and business services (TE Services) organise vocational labour market training to enhance the skills and employability of the unemployed. TE Services also provide personal guidance and information on vacancies and education to jobseekers. Trade unions provide their own training programmes for both employed and unemployed members as well as activation schemes for ageing workers and the long-term unemployed. Both sectoral unions and central organisations provide different training options. Unions also provide career planning and employment services. Employers’ organisations organise training courses for their member companies on for example legal issues and business management. Since 2014, employers with 20 people or more may claim the cost of employees’ training as tax deductible. In order to make tax deductions, companies have to create individual professional development plan. The Ministry of Economic Affairs and Employment is responsible for designing the policies related to training and skills development, while the Ministry of Culture and Education handles vocational education and training. The Centres for Economic Development, Transport and the Environment (ELY Centres) and the public employment and business services (TE Services) are jointly responsible for regional and local implementation and development tasks. According to the European Company Survey, the proportion of workers receiving paid time off for training is greatest in establishments with over 250 employees in which around half of the workers have received paid training. However, national data show that smaller companies have also in the past twenty years significantly improved their efforts to develop the professional skills of their employees. In the figure, we see a comparison between Austria and European Union for the workers with 'Age : All' when asked 'Have you had on-the-job training in the last 12 months?'. For the 'No' answer, Austria's score is higher than the European Union score. For the 'Yes' answer, Austria's score is lower than the European Union score. Data is based on question 65c from the sixth "European Working Conditions Survey (2015). The National comparisons visualisation presents a comparative overview for the values of all answers between two selected countries. For Finland the European Company Survey 2013 shows that between 2010 and 2013 53.4% of establishments with 10 or more employees reported changes in the use of technology, 47.9% introduced changes in ways to coordinate and allocate the work to workers and 25.9%% saw changes in their working time arrangements. In the figure, we see a comparison between Finland and European Union for the workers with 'Age : All' when asked 'Are you able to choose or change your methods of work?'. For the 'No' answer, Finland's score is lower than the European Union score. For the 'Yes' answer, Finland's score is higher than the European Union score. Data is based on question 54b from the sixth "European Working Conditions Survey (2015). The National comparisons visualisation presents a comparative overview for the values of all answers between two selected countries. More detailed figures are available from Eurofound’s European Working conditions survey. At national level, work organisation questions are explored in the Working Life Barometer studies of the Ministry of Economic Affairs and Employment. The new Non-discrimination Act, together with amendments of the Act on Equality between Women and Men, entered into force in 2015. The two acts, complementing each other and together covering all grounds of discrimination, increase the employer's obligation to promote equality and to eliminate discrimination. Among other things, the acts set out new rules on mandatory plans for promoting equality at the workplaces, and strengthens the role of shop stewards and other personnel representatives with regard to non-discrimination. According to the new legislation, employers are obliged to investigate and follow up on gender pay gaps at the individual workplaces. Compliance with anti-discrimination in employment is monitored by the following independent bodies: the Non-Discrimination Ombudsman and the Ombudsman for Equality (both connected to the Ministry of Justice), the National Non-Discrimination and Equality Tribunal, appointed by the Government, and the Regional State Administrative Offices (AVI). The gender pay gap was around 20% in Finland in the early years of the 21st century, but has decreased slightly since and as of 2017 is approximately 17% (Ministry of Social Affairs and Health, 2017). The Employment Contracts Act and the Non-Discrimination Act demand equal treatment of workers in all aspects of working life, including wages. The Act on Equality between Women and Men specifically prohibits wage discrimination based on gender. Employers with 30 employees or more are obliged to draft equality plans and to carry out pay auditing every 2–3 years, in cooperation with employee representatives. The pay audit must comprise and compare data on men’s and women’s wages in ‘comparable’ groups of workers. Collective agreements furthermore set the framework for wages in different occupations which must be observed for all workers. The Ministry of Social Affairs and Health is responsible for monitoring compliance with the Finnish non- discrimination legislation related to working life. It coordinates the tripartite Equal Pay Programme with the aim of narrowing the gender-based pay gap to 12% by 2025 by means of contract policy, decreasing the gender-based segregation of occupations, development of pay systems and supporting women's career development. In cases of suspected pay discrimination the employee and the trade union shop steward of the establishment have the right to hear the grounds for the wage level by the employer. The employee can appeal to the general court which can order the employer to pay compensation to the employee. The Ombudsman for Equality and the labour maker organisations can also bring cases to the Finnish Equality Board which can impose fines if necessary. The only quota regulation regarding employment is the decree in the Act on Equality between Women and Men that the proportion of both men and women in public administration bodies must be at least 40%. This applies to public authorities at both state and municipal level. Ahtiainen, L. (2011), Työehtosopimusten kattavuus Suomessa vuonna 2008 (444 KB PDF), Ministry of Employment and the Economy, Helsinki. Ahtiainen, L. (2016), Työehtosopimusten kattavuus Suomessa vuonna 2014, Ministry of Employment and the Economy, Helsinki. Akava (2016), Akavan jäsenliittojen jäsenmäärät, web page, accessed 7 December 2016. Asplund, R. (2007), Finland: Decentralisation Tendencies Within a Collective Wage, Working papers No. 1077, the Research Institute of the Finnish Economy, Helsinki. Eurofound (2009), Employee representation at establishment level in Europe, Dublin. Eurofound (2010), Finland: Individual disputes at the workplace – alternative disputes resolution, Dublin. Eurofound (2014), Finland: Representativeness of the European social partner organisations in the cross-industry social dialogue, Dublin. Fulton, L. (2013), ‘Collective Bargaining’, in Worker representation in Europe, Labour Research Department and ETUI, Brussels. Helsingin Sanomat (2013), Tulosopu syntyi, palkat nousevat hyvin vähän, 30 August. Lyly-Yrjänäinen, M. (2016), Työolobarometri – syksy 2015, Ministry of Employment and the Economy, Helsinki. Ministry of Social Affairs and Health of Finland (2016), Samapalkkaisuus, web page, last accessed 7 December 2016. OECD (2014), Trade Union Density, Paris. Official Statistics of Finland (2016), Statistics on labour disputes [e-publication], Helsinki: Statistics Finland, last accessed 7 December 2016. SAK (2016), Jäsenmäärät, web page, accessed 7 December 2016.